Kumail is a standup comedian in Chicago trying to get his big break. He has a one-man show about his Pakistani background. His Muslim immigrant parents frequently set him up with young Pakistani women, hoping he will follow their example of an arranged marriage, but he is uninterested. He also lies to them about his faith, not sharing their Muslim beliefs. During a show, Kumail is heckled by Emily, a white woman in the audience. He approaches her after the show and their one-night stand develops into a long-term relationship. Kumail does not tell his family about Emily, as they would disapprove, and his relationship with Emily is strained when he is unwilling to commit. 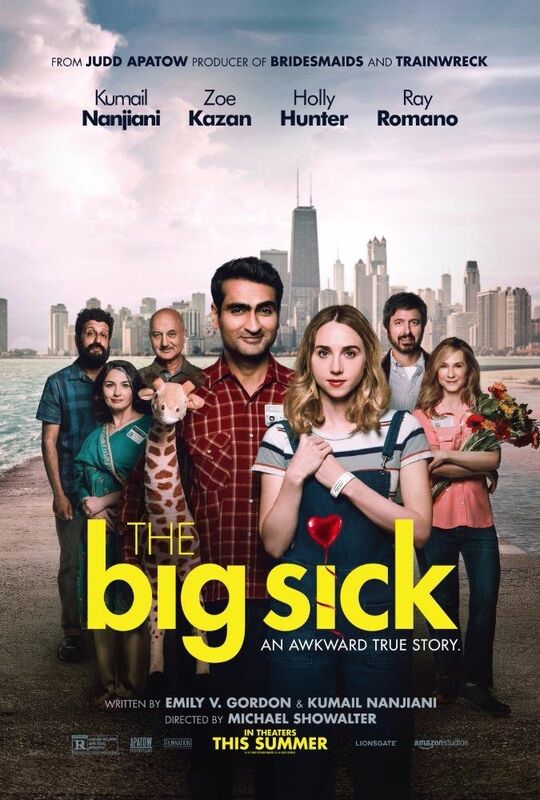 When Emily finds pictures of the women Kumail's parents have set him up with, Kumail admits he does not see a long-term future with her due to his family's expectations. Emily ends their relationship. Read more on Wikipedia.